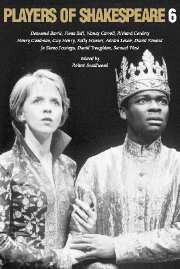 Books in the Players of Shakespeare series contain collections of essays by well-known actors with the Royal Shakespeare Company and the National Theatre on their interpretations of major Shakespearian roles. Contributors include Sir Nigel Hawthorne, Antony Sher, Frances de la Tour, Adrian Lester and many more. Each volume includes excellent photographs of theatre productions and a detailed introduction which places the essays in the context of the Stratford and London stages.